TaxHow has all the forms and eFile solutions that you will ever need for your Nebraska State taxes. If you find any form that is missing for your State, let us know and we will make our best to update them immediately. Nebraska Form 1040XN is a tax return document for residents who need to amend their previous return. Also known as the amended individual tax return form, it is used to correct any errors in income, reimbursements or tax credits on a number of other Nebraska 1040N tax documents. When filling out your 1040XN form, you will be given the chance to explain why you are making an amendment in your tax return. 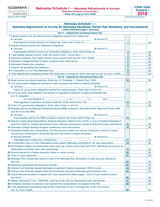 Nebraska form 40 is designed for state individuals to report their annual income. The form features space to include your income, marital status as well as space to report any children or dependents you may have. By filling out the form, you will see whether or not you owe money to the state or if you will receive a refund. Form 1040N-V may be used by taxpayers who did not include a payment for the amount they owe when they submitted their tax returns. Taxpayers must file and send their voucher and payment to the Nebraska Department of Revenue, PO Box 98903, Lincoln, NE 68509-8903 no later than April 15th. 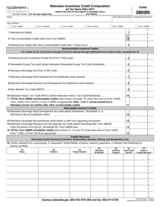 Form 3800N may be used by taxpayers who need to determine a credit. 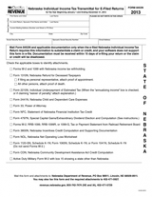 Nebraska Form 3800N must be filed and mailed with one’s annual tax returns. All taxpayers who claim a credit will need to preserve records for 3 years from the date in which the credit was claimed. The 4868N form is used for Nebraska residents who seek an extension of the filing deadline for their state income tax returns. Successfully filing the 4868N automatically allows Nebraska residents a six month extension to file their 1040N state income tax returns. 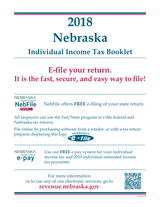 The Nebraska tax booklet is a guide for state residents on how to file their state income taxes. The guide features step-by-step instructions on how to file by mail or e-file your state taxes. In addition, the booklet features information on every type of state tax form as well as areas where filers commonly make mistake. 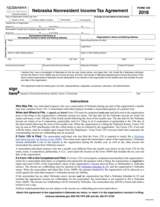 Nebraska Tax Calculation can be used by all taxpayers to determine their tax calculation. 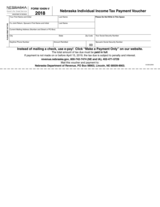 The calculation must be added in line 15, on Form 1040N. Form 8453N may be filed by almost every taxpayer who wants to e-file their individual income tax return. 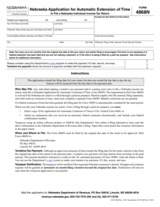 When mailing Nebraska Form 8453N, taxpayers might have to send additional documents if they are claiming a credit or if the software used does not support this form in e-file format. 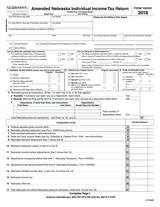 Form 1040NS is the shorter version of 1040N. 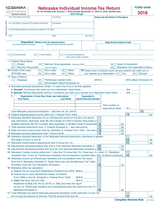 Either Form 1040N or 1040NS must be in all Nebraska returns. Unlike Form 1040N, Form 1040NS has certain requirements that a taxpayer must meet in order to use it to file their Nebraska return. 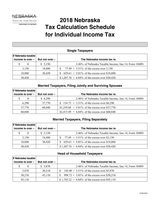 A list of these requirements can be found on page 7 of the Nebraska Tax Booklet. Here are the mailing addresses available for Nebraska. Please note that some specific forms might have a different addresses. Please check the Form's instructions before using any addresses listed here.